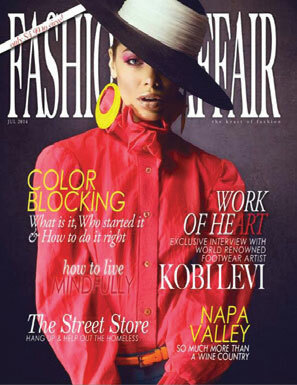 Fashion Affair Magazine is an international magazine that tries to bring its readers with the very best and latest from the world of fashion. It showcases a number of fashion designers that most people around the world don’t get to see because of the high price tags that are associated with most fashion publications. 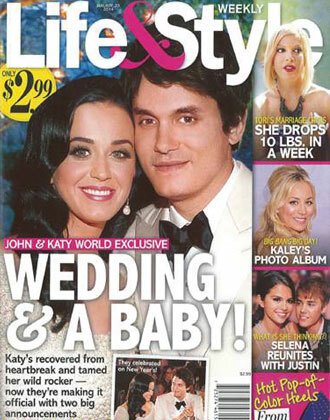 Fashion Affair Magazine is believed to be an ideal destination to find out everything you need to know when it comes to the world of fashion. 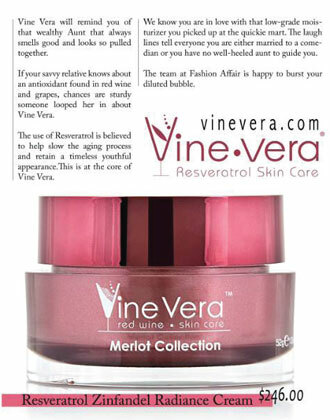 The Fashion Affair Magazine featured Vine Vera Skincare in the Beauty section of its July 2014 issue. 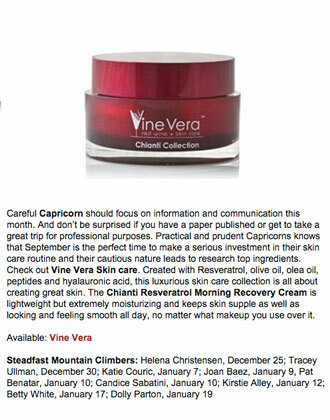 The magazine described Vine Vera as a brand that reminds one of their wealthy aunts who always looked good and smelled nice. 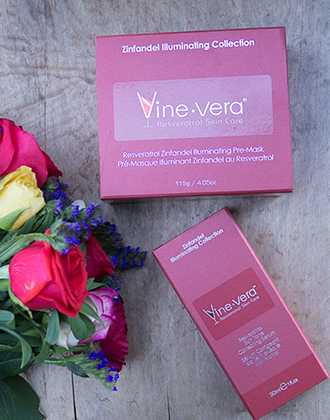 It talks about the benefits that Resveratrol has to offer to the skin and says that this antioxidant can help to slow down the aging process and allow you to retain a timeless appearance. 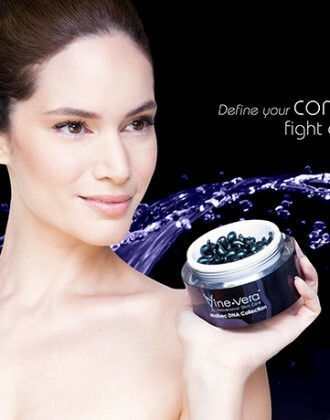 Vine Vera is proud to be featured in an international publication like the Fashion Affair Magazine. 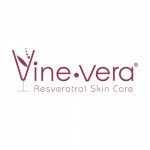 We have always maintained a unique line of skin care products that can help our customers to enjoy the very best of anti-aging solutions and get rid of those expression lines and wrinkles. 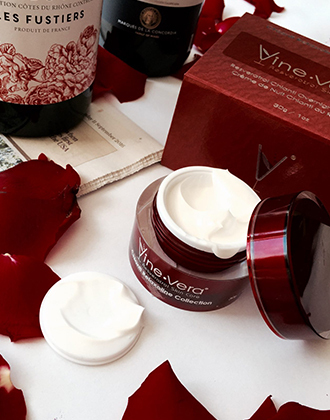 We hope that the readers of the Fashion Affair Magazine find our products to be as useful and luxurious as Vine Vera reviews have shown them to be.